For the most part, the WordPress.org Dashboard controls haven’t changed much, which is a relief, and demonstrates how well the design has stood up for the last 12-13 months I’ve used it. 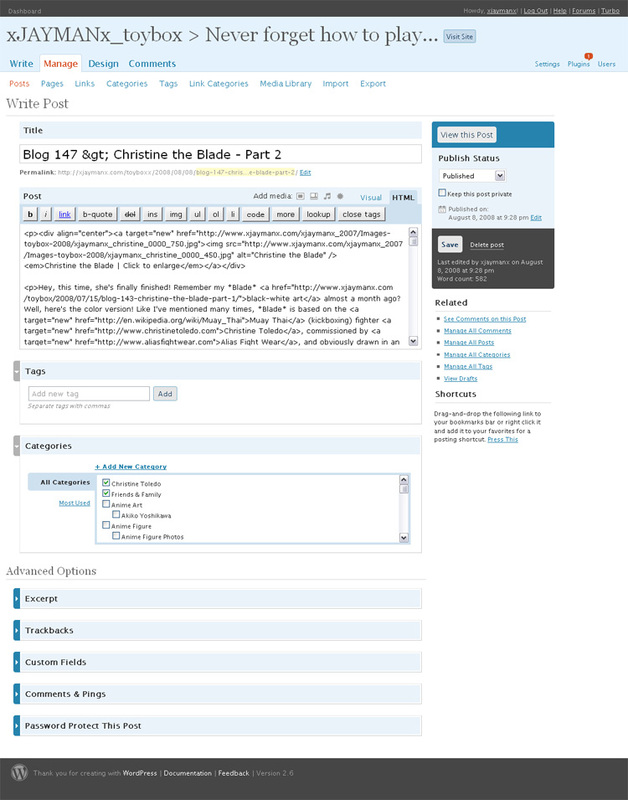 Below is a screencap of the old WordPress 2.0 Dashboard design. 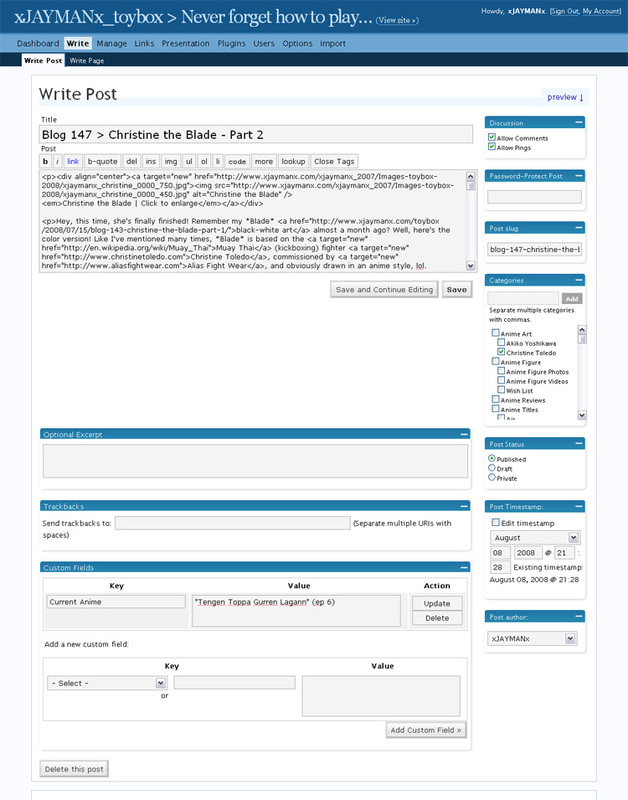 Next is a screencap of the new WordPress 2.6 Dashboard design. Not much difference. But the navigation and functionality do feel more intuitive and smooth. No problems yet! 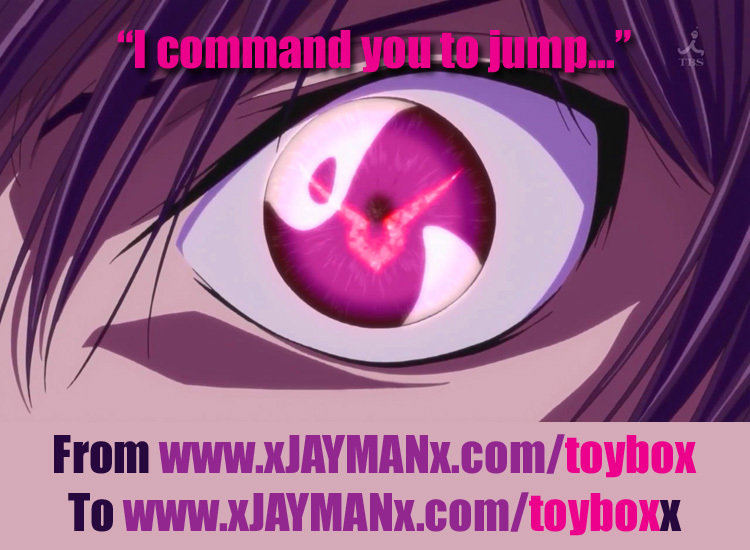 This entry was posted in Blogs, Code Geass, Experiments, PHP, Web Design and tagged Lelouch, Toybox, WordPress, XML. Bookmark the permalink. Updated your blog feed Jayman. Welcome to 2.6. I at least started on it so I have no complaints about the UI, though I heard people far preferred 2.5, there was a lot of hassle from 2.5 to 2.6. @ Panther: I thought xJAYMANx was still at 2.0.5??? oh man… I still haven’t updated your blog-link and RSS feed! @P-Chun: Hmmm, might be cuz it’s new to your browser cache? Congrats on your 2.6 upgrade man!! @Ryo: Haha, thanx dude, had to be done, lol. Welcome to the Toybox! Love your look man. And dude I am glad to hear you had a hassle free upgrade. When I upgraded from 2.5 to 2.6. Mad bugs and glitches arised. Took me hours and I do mean hours to fix it out. And I am still betting there are 2 or 3 bugs lying dormant waiting to strike. @BZou: Ouch, sorry about the glitches. But despite the slow-loads, I do notice some similarities between our designs, haha.